Five major cities across England have pledged to work with the government to drive up apprenticeships among underrepresented groups and ensure they are accessible to individuals from all backgrounds. The ‘5 Cities Project’, launched by the Department for Education today, will see the National Apprenticeship Service (NAS) work with partners in the Greater Manchester, London, Bristol, Birmingham and Leicester areas to promote the take-up of apprenticeships among under-represented groups, including Black, Asian and Minority Ethnic (BAME) and those from disadvantaged backgrounds. Key partners supporting the drive include some of the UK’s top employers - B&Q, Rolls Royce, Optimity, and Interserve - as well as local authorities, Local Enterprise Partnerships, apprenticeship providers, schools, and community groups. I’m thrilled by the strong support we have received for this project. It’s great to be working together on our drive to make sure that everyone, whatever their background, can get onto an apprenticeship at whatever level suits them. Apprenticeships are a great route into skilled employment and allow people to earn while they learn. We want it to be easy as possible to get on an apprenticeship, so that everyone can benefit from the excellent career prospects that apprenticeships offer. Each city has pledged to boost diversity in apprenticeships in their local area. For example, Greater Manchester aim to deliver a 16 per cent BAME apprenticeship representation and Leicester will deliver an increase in apprenticeships for those from disadvantaged backgrounds. 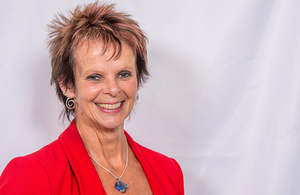 The launch follows the Apprenticeships and Skills Minister Anne Milton writing to the elected Mayors of these Cities last August to offer support from NAS to build on existing local partnerships and ambitions to increase representation in apprenticeships starts. The work forms part of the government’s commitment, set out in the recently published [Social Mobility Action Plan], to identify and spread ‘what works’ so that successful approaches can be adopted more widely. The Mayors will lead co-ordinated activity with local partners and NAS to help break down barriers and support BAME individuals to apply for apprenticeships. This will also include promoting higher and degree level apprenticeships, as a great way to work with some of the UK’s key employers while learning at some of the UK’s top universities. We want Greater Manchester to be known for its fairness, equality and inclusion – a place where that everyone can get on in life and get into work, whatever your circumstances, background or aspirations. That’s why I’m proud that Greater Manchester is part of a pilot that’s going to celebrate the diversity of our city-region. We’ve already had initial discussions with employers - including some national household names - who are committed to working together to make sure that our workforces are more representative of the communities we serve. Those employers and communities will be a crucial part of shaping how the pilot will work in Greater Manchester, and we’re looking forward to getting started. As a member of the London Mayor’s Skills and Employment taskforce, I am very pleased to champion apprenticeships with Londoners and London employers. Apprenticeships offer a fantastic opportunity to develop skills and for employers to benefit from talent and diversity. In London, we fully support the Diversity Hub objectives. We will work with partners, such as the London Apprenticeships Ambassador Network and the Careers and Enterprise Advisor Network, to build on the levels of diversity that we achieve in London, grow numbers of quality apprenticeships and ensure these opportunities are accessible for all Londoners. It cannot be right in this day and age that BAME individuals in England are, overall, less likely to be successful in their apprenticeship applications than their white counterparts- yet sadly this is what the statistics do show. It is critical that we capture the talent of individuals from all backgrounds, and proactively work to remove any barriers that do exist – and that is why the 5 Cities Project is so important.